The property is situated along South Coast Road, cnr. South Coast and Bluff Road within the industrial area of Mobeni East, south of Durban. The surrounding neighbourhood mainly comprises of large warehouses and factories. Access to the property is good, having due regard to the nearby N2 National Highway and the M4 Southern Freeway respectively. Is in reasonably close proximity of the Durban Harbour, known to be the busiest harbour in South Africa. 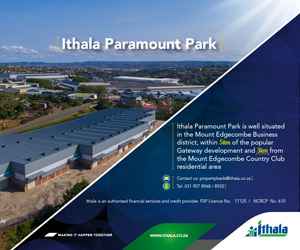 Live Telkom auction of an exclusive industrial property in Mobeni East, Durban - South Africa, measuring an erf size of 44 360m² and 21 068m²of warehousing, distribution, stores & offices.